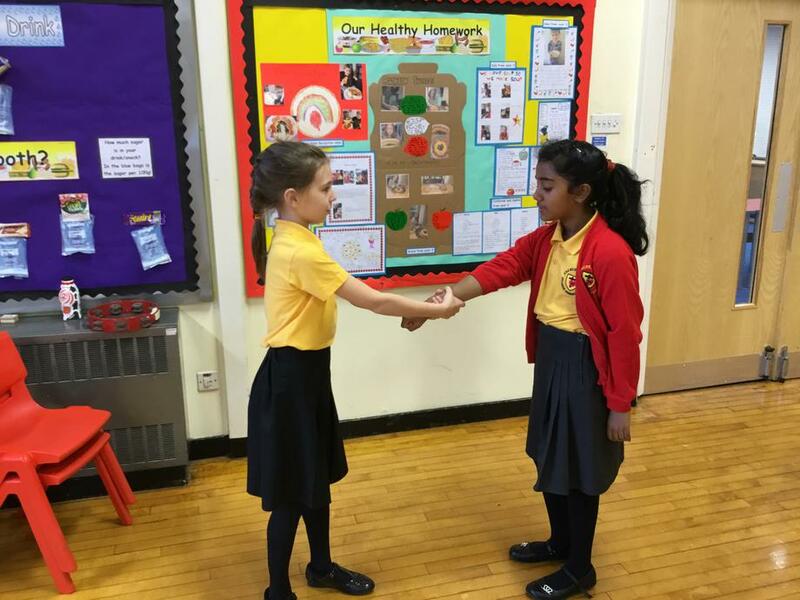 On Thursday 16th November 2017 year 5 attended a personal Safety session led by Antony our instructor. We learned how to defend our self by doing different grabs.One of the grabs were the wrist grab with two hands,you have to put your hands on your parterners wrist then with your free hand grab your trapped hand and Pull it out from it being trapped. We had a another hand grab ,so we had to do it with one hand. So you have to do you have to grab your parterners hand and then they have to try and pull there trapped hand so they can run away from the mean person and tell a sensible person to help you out. The next grab is the clothes grab with one hand and you have to get your parterners top , they have to get your wrist and pull there top away from your parterner holding your top. The last grab is the clothes grab with two hands, so you have to grab hold of your parterners top and have a fist ready and they need to twist your hand and then the push your elbow down. Please look at our videos and pictures below. By Ruby G,Hope and Elsa.